Oakland's famed maker of personalized radio expands into comedy. Rumors about Pandora's new comedy genome project had been circulating at least since August, when the Oakland-based company began head-hunting local experts to help set it in motion. 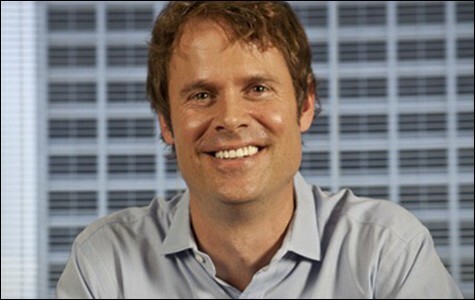 But until the feature officially launched on Wednesday, May 4, Pandora kept it tightly under wraps. News outlets didn't get word until it was already up and running. 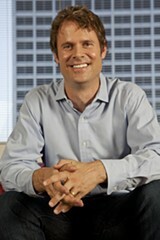 But founder Tim Westergren insists there was never any debate as to whether comedy would be a viable format. "This was something our listeners had been asking us about for a while," he wrote in a recent e-mail, adding that since Pandora receives — and answers — tens of thousands of e-mails each month, he was working with a fairly large sample size. "There was no debate that this was the right thing to do," Westergren added. The hope, of course, is that Pandora will ultimately do for comedy what it did for music: create a new generation of snobs. Westergren is a trained jazz pianist and Stanford alum who launched the genome project more as a social experiment than a business. (Founded in 2001, the company didn't become profitable until 2009.) The whole idea was to broaden consumer taste via personalized radio stations. Someone with a layman's knowledge of jazz could start a John Coltrane station, for instance, and quickly get exposed to the music of Archie Shepp, Art Pepper, or Sonny Rollins, all of whom share similar characteristics (in this case: "a leisurely tempo, a tenor sax head, acoustic piano accompaniment, and light drumming"). For the music stations, Pandora keeps a database of more than four hundred possible "song traits," and hires professional musicians to analyze each song. Once analyzed, they become part of the company's complex and intricate algorithm. Pandora users get the pleasure of a customized service that functions, simultaneously, as an educational tool — so long as they accept the premise that isn't quite as "individual" as we once thought; it's actually methodical and predictive. Westergren's description alone shows just how much rigor went into the formation of the comedy genome. And he makes a fairly convincing argument for the idea that any comedy bit can be divided into a series of attributes, the same way that any song can. Which spooks some consumers. Oakland comedian Bucky Sinister said that after listening to his personalized humor stations for four hours, he was still trying to "train" them. "I started it by putting in Patton Oswalt. So far it's given me more of the dirty, foul-mouthed comics. The 'edgy' ones, I guess you could say," he wrote in an e-mail. Sinister said that after subscribing to the music genome project for years, he still finds glitches in the system. Ideally, you're supposed to narrow the selections by manually "liking" or "disliking" songs as they pop up in the queue. But it doesn't always work. "I used to play a game called 'Six Degrees of Godsmack,'" Sinister continued. "I would play with another person in another place. We'd ... enter any metal band in Pandora, brand new channel. Then we see how long it takes to get to Godsmack," an archetypal dude-rock band that's sort of like bong water turned into music, he says. "The idea is you're never more than six songs from Godsmack." So ultimately, a computerized algorithm isn't quite the same thing as a human brain. And there are some other features of comedy that make it hard to fit in the music genome template. Since we often listen to music for purely escapist reasons, it's easy to tolerate the same song being played over and over again. Not so with comedy. You may enjoy hearing Hannibal Buress discuss testicle surgery one time, and you might even feel compelled to "like" it. That doesn't mean you want the testicle bit kept in rotation. Listening to the same joke even twice can be irritating. But that's a small price to pay for exposure. Westergren clearly expects a lot of comedy neophytes to take advantage of the free, ad-supported service on Pandora, and to help them he's created "genre" stations that divide comedians into their respective groups. Chris Rock, Daniel Tosh, and Aziz Ansari qualify as "today's comedy." Wanda Sykes, Don Rickles, and Richard Pryor are "icons." David Cross and Katt Williams are "raw comedy." Frank Caliendo and Larry the Cable Guy are "working class." Add to that list musical comedy, PG comedy, urban comedy, golden oldies comedy, and political comedy. That means Pandora could help generate a whole new market for comedy, which is heartening news for the artists it features. So thought Kevin Avery, a San Jose-raised comedian who defected to Los Angeles a couple years ago. "I think it's helpful any time you put comedy in a place where people are already searching for content," Avery said. He was bemused to hear his "attributes," as determined by the genome project: an amused delivery, an interest in technology, an equally abiding interest in romantic relationships, a tendency for bizarre "subject exploration," and "shouting."